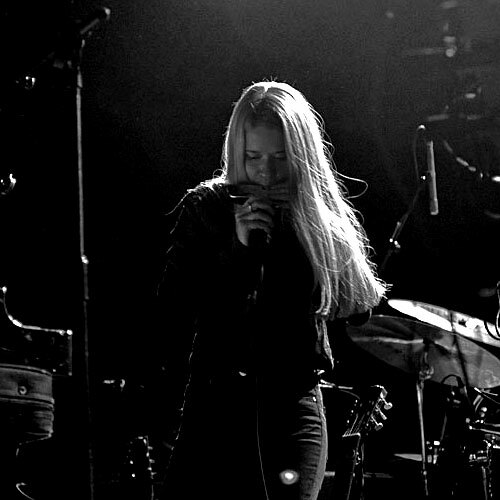 Swedish singer/songwriter Anna von Hausswolff opened the show for Swans. She released her debut single, “Track of Time”, in February 2010, followed by the debut album SINGING FROM THE GRAVE. The album was very well received by the Swedish press. She played the Way Out West Festival in 2009. In March 2010 she opened for Tindersticks on three occasions and toured Brazil with Taken by Trees and Taxi Taxi! Then in 2011 she opened for Lykke Li thrice, and also for M.Ward at the Royal Dramatic Theatre in Stockholm. Hausswolff is noted for her expressive voice and her live performances, and is sometimes compared to Kate Bush. 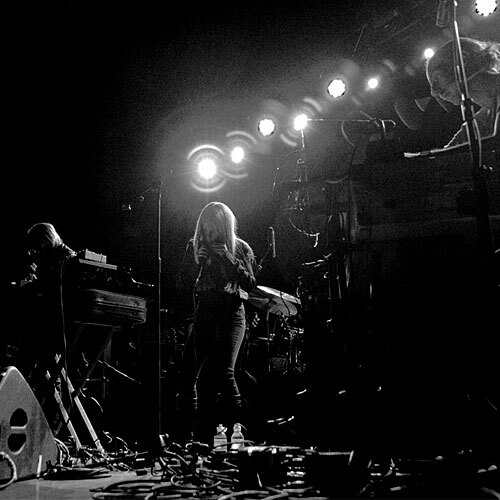 On July 9, 2013 CEREMONY was released in North America by Other Music Recording Co., and Anna von Hausswolff played her debut US show on July 10 at Glasslands Gallery in Brooklyn. The album received strong support from National Public Radio’s Bob Boilen, who said “Von Hausswolff’s voice possesses the power to soar with those mighty pipes and still hold tight to delicate, personal emotions. I hope to find one album like Ceremony every year — a rare, thoughtful, inspiring record for a night on the couch or a candlelit evening — and now I’ve got one for 2013.” Her latest album, THE MIRACULOUS, was released in NOvember 2015. 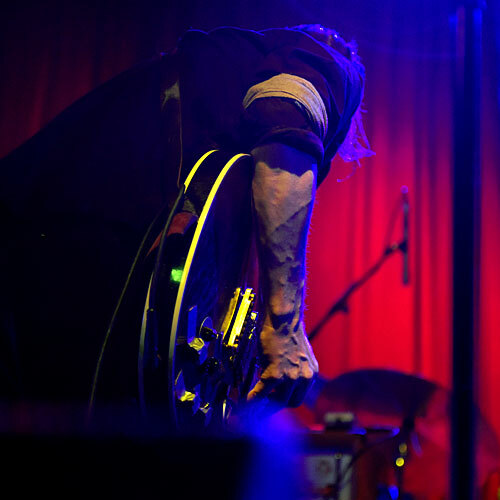 Supported by a guitarist and keyboard player, Swedish artist Hausswolff provided a mesmerising and adventurous set which was dominated by long art-rock style instrumental passages. Her beautiful high-pitched vocals (interspersed with piercing screams) provided occasional punctuation marks which succeeded in underpinning the highly emotional vibe of her songs. 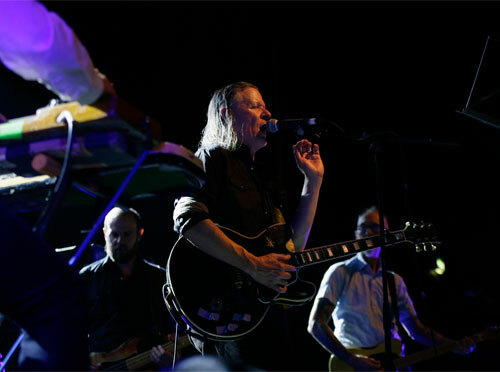 The Swans audience reacted positively to music which was similar to that of their heroes, albeit with a more softer and optimistic sound. Hausswolff also played the keyboards and a guitar during her set. I was both impressed and surprised not least by the power of her voice. 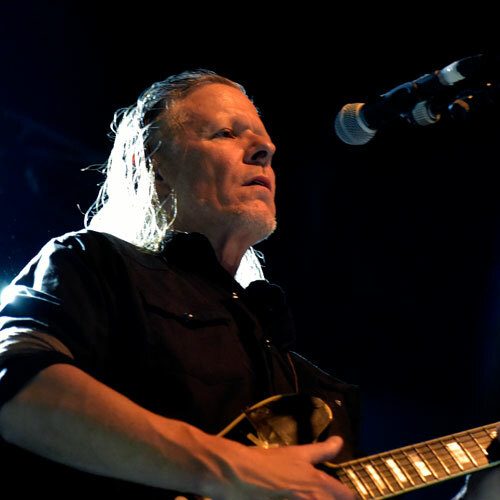 The band assembled on stage and after a short delay Gira faced his drummer with his back to the audience and commenced a relentless, high pitched guitar drone which lasted for many minutes while his band mates looked on. Gira swayed back and forth while watching his drummer intently. Eventually his partners in crime joined in the fray (as signalled by Gira) and pretty soon after I understood clearly what Gira and the Swans were about musically. 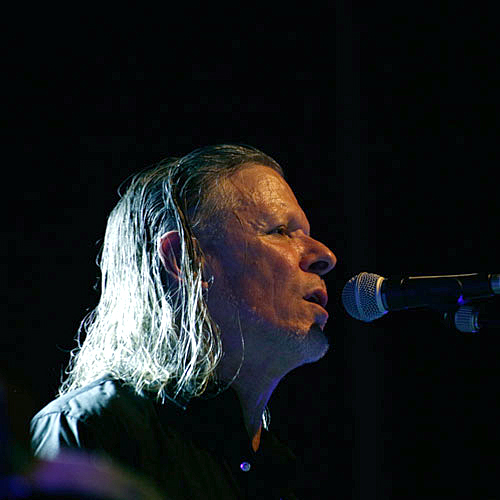 The song was “The Knot”, a new composition (or previously unreleased track) not included on THE GLOWING MAN (the title of the current Swans tour…). Some thirty minutes later the second song emerges, a much shorter and conventional, riff-driven “Screen Shot” before my highlights of the evening arrived and cemented my admiration for the band. “Cloud of Forgetting” opens in quiet, reflective style before it starts to build in the most subtle way. The tension was almost unbearable as instruments join in (including piano) followed by the despairing, swooping vocal with lyrics that seem to me to be both desperate and terrifying. It’s nothing short of an incredible song and memorable, sincere and passionate performance. After one cathartic experience another arrived in the form of “Cloud of Unknowing”. This was a more tangled affair which sounded like someone falling down through the flames of hell… I should mention the fabulous, intuitive drumming of Phil Puleo which featured heavily in the opening segment of the song (and others on the night). Then suddenly it seemed that whoever came tumbling down hit a heavenly calmness - you see great music can offer the listener opportunities to provide one’s own interpretation. It must have been about eight or nine minutes before the vocal arrived again thunderingly backed by the rhythmic derge of Puleo’s drums. I had arrived at this concert not knowing what to expect and was greeted by two acts that deserved the highest praise. The sellout audience were more attentive than many I can remember and it was gratifying to see such large audiences for music that was challenging and thought-provoking (unlike so much of today’s mediocre musical fare). Arguably, the sound was just a bit over-the-top but in hindsight well controlled. This was a performance for my history book.